The trailer shows off both of Kitana and D’Vorah’s moves, and observant fans will notice Kitana doing a few of Mileena’s moves. This likely means we won’t get to see Mileena in some form, especially since she was killed by D’Vorah with a deadly kiss in Mortal Kombat X. Then again, the kombatants are always coming back to life thanks to the power of magic. Kitana died in Mortal Kombat 9, only to be revived as a revenant along with Liu Kang. Both she and Liu Kang are now rulers of the Netherrealm. As for Kitana’s design, she is looking more Asian than previous iterations, and NetherRealm has been overhauling many of the character designs by making them look more realistic. The facial technology has improved with better animation, and we’ve seen the improvements since Injustice 2 thanks to the studio’s facial scanning technology. So far the roster includes Scorpion, Raiden, Sub-Zero, Sonya Blade, Skarlet, Baraka, Geras, Kano, D’Vorah, Kabal, Jade, Johnny Cage, Cassie Cage, Erron Black, Jacqui Briggs, Kotal Kahn, Noob Saibot, Liu Kang, Kung Lao, Jax Briggs, Cetrion, The Kollector and Kitana. Shao Kahn is available as a playable character if you pre-order the game. NetherRealm has revealed that there will be more gameplay reveal trailers to come. Mortal Kombat is coming April 23, 2019, for the PlayStation 4, Xbox One, Nintendo Switch and PC. 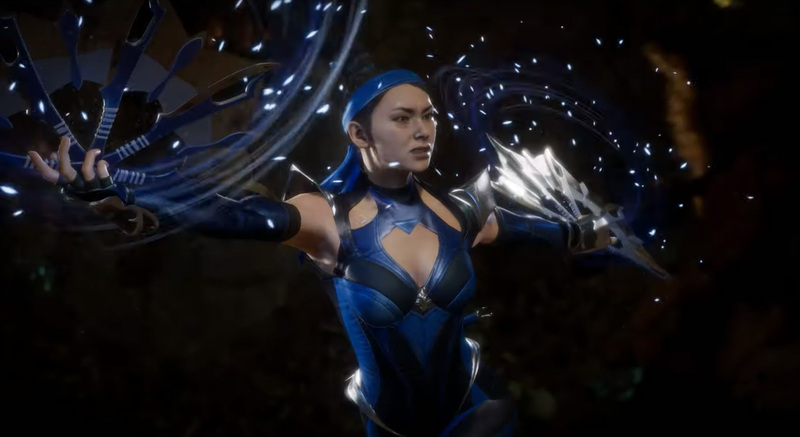 The post Kitana shows off moves and fatality in Mortal Kombat 11 gameplay reveal trailer appeared first on Nerd Reactor.